Cute With Out Even Trying! 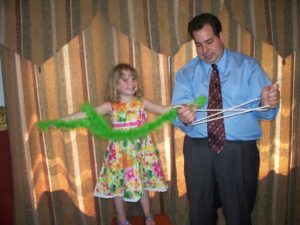 In the 30 plus years I have been performing for family events I often find that my little magical helpers steal the show away from me. Some are just too cute while other children are having a bad day and want to cry. Then we have tiny dancers. You know the ones. They are dancing around. They have the wiggles like they have ants in the pants. Truth be told, some do just have the wiggles but the others have to use the potty. Then there is the cute things the children say. My all time favorite is after they have met Sherman the Magic Bunny (he is my side kick puppet friend who plays tricks on me) they will often ask, “When is Sherman coming out again” or “We love Sherman.” But, my all time favorite is, “[Amazing Zoomalata] we like you but Sherman is so much better.” That really warms my heart to hear that. 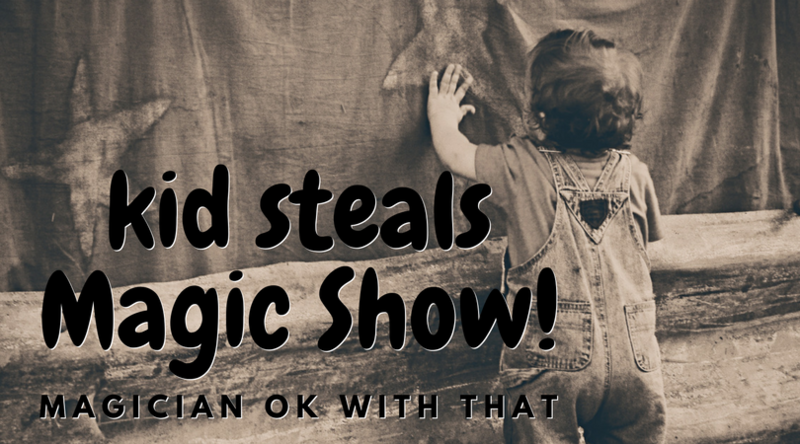 It doesn’t matter that a kid steals my magic show. I’m OK with that. The show is not about me it is about engaging the audience. It is about the audience having fun with the comedy, magic and mystery. I am always trying to get a response like I had at my first magic show in my back yard. See the little boy with his mouth covered. That’s what I am looking for a pure response. 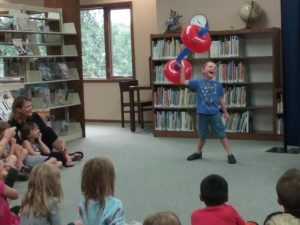 Be it a sense of mouth covering awe like my neighborhood friend, Mark or a giant laugh like this friend holding a balloon barbell at a Wisconsin Library Show from 2016, my goal is for the audience to have a great time. And that is worth it all. 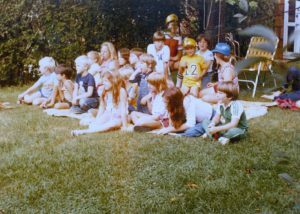 I would love to entertain at your birthday party for your birthday boy or girl. It is their special day. Why not add some magic to their birthday party as you celebrate their life. 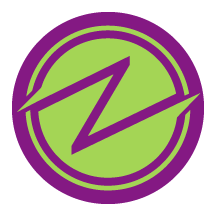 Visit MagicBirthdayParty.com for more information!